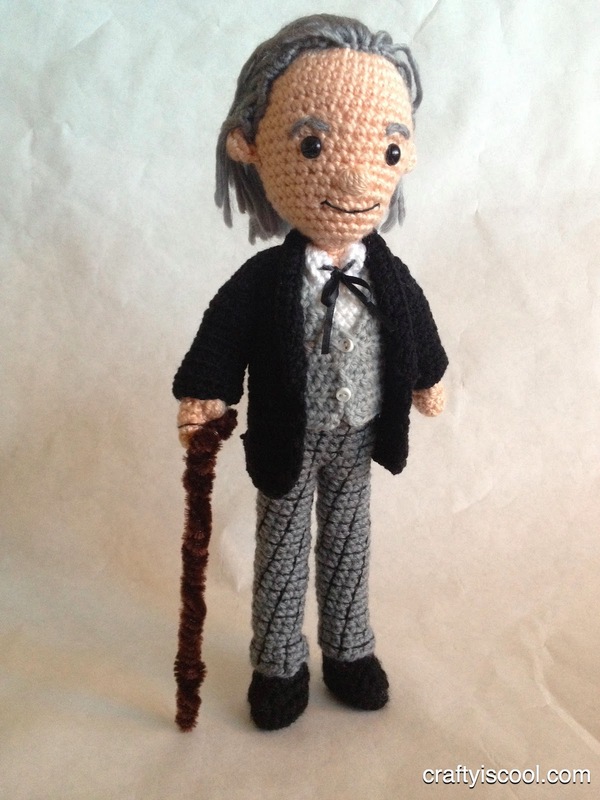 If you follow me on Facebook or Twitter, you probably know I've been working on a huge custom set of dolls lately. 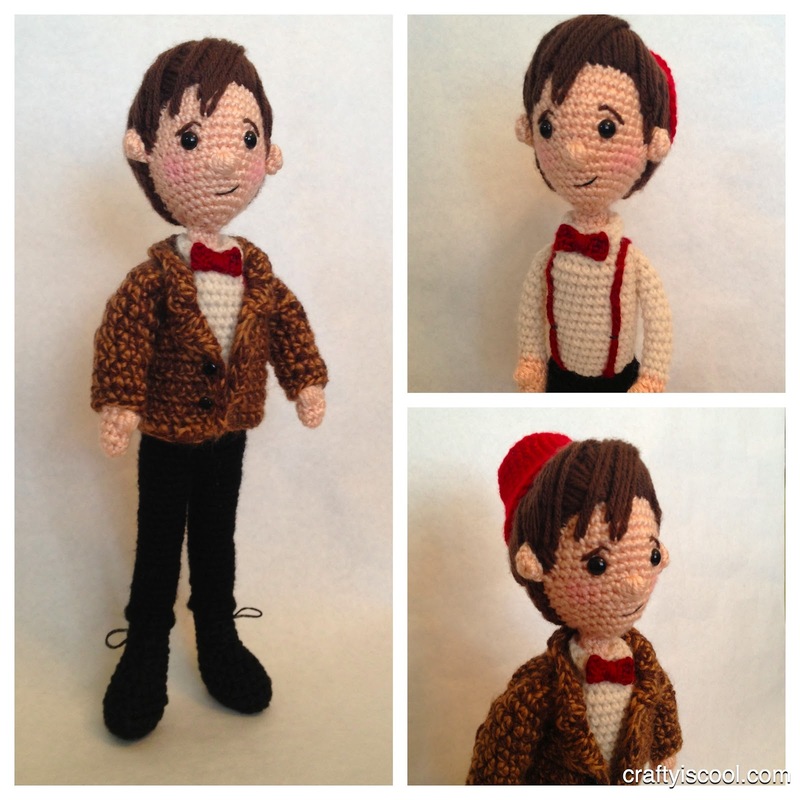 It's a set of twelve amigurumi (eleven doctors and a Tardis!) 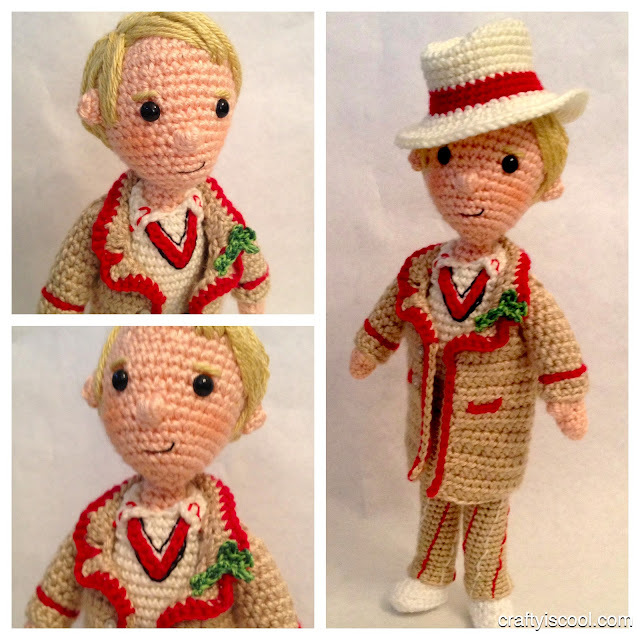 that a lucky Doctor Who fan is getting for Christmas. Do you watch the cult favorite sci-fi show Doctor Who? 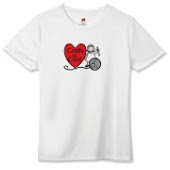 It has kind of a HUGE following here in the states and across the pond. Who knew? Ha. 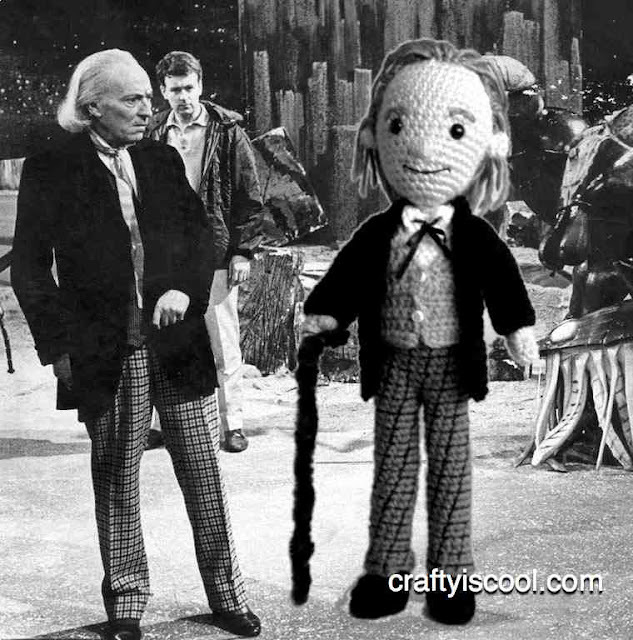 I started with the First Doctor, then made the Second. 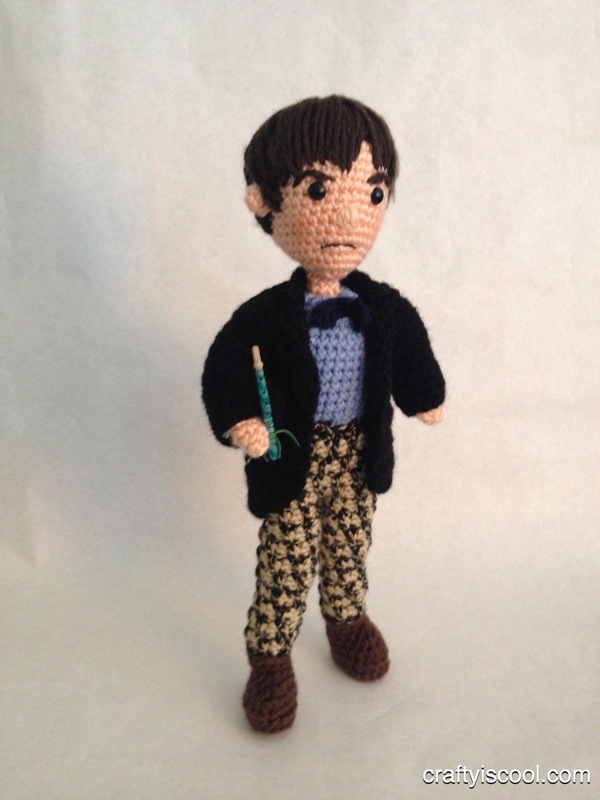 I was waiting for some yarn I ordered to come in to make the Third, so I skipped to the current incarnation (Eleven). That yarn still hadn't come in so I backtracked to the ever-popular and much-beloved Fourth Doctor, and just finished the Fifth a couple of days ago. The First Doctor -- William Hartnell "Doctor Who"
The Second Doctor -- Patrick Troughton "Doctor Who"
The Fourth Doctor -- Tom Baker "Doctor Who"
The Fifth Doctor -- Peter Davison "Doctor Who"
The Eleventh Doctor -- Matt Smith "Doctor Who"
What do you think? Are you a Whovian too? Which Doctor is your favorite? i LOOOOOVE doctor who! your work is so amazing! 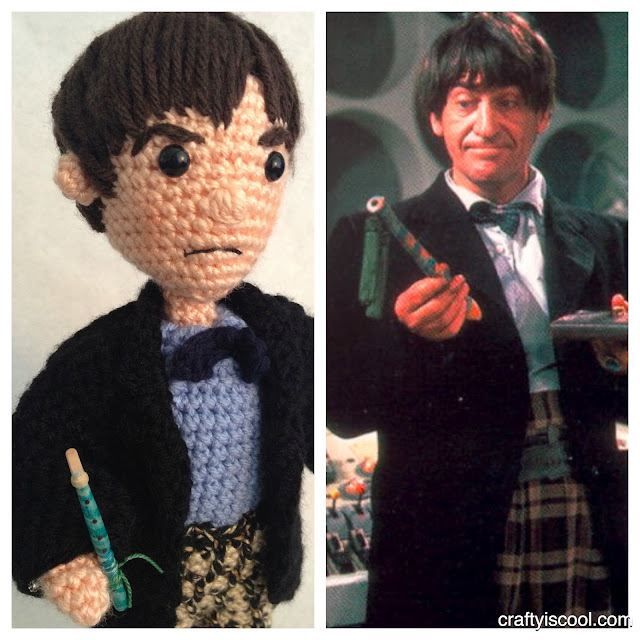 i've made a few of your other patterns, i cannot wait until you share your doctor patterns. you are just lovely, and so brilliant! ten is my favorite! 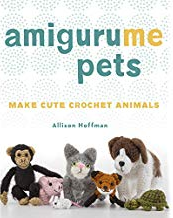 will you be doing companions, too? 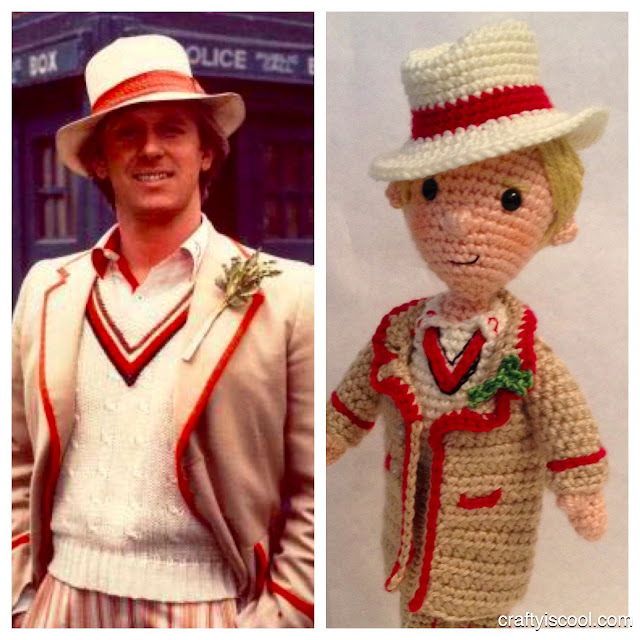 TOTAL Whovian here & I'm loving your Ami Doctors! My favorite is always switching between #'s 9 & 10 (guess it depends on which I'm watching at the moment). Favorite of YOUR Doctors? It's hard to pick. You've captured each of them so well, but I think it's #4. He's so ICONIC & what you've done with his hair, smile & scarf are just perfect. best.things.ever. I especially like 5's hair. 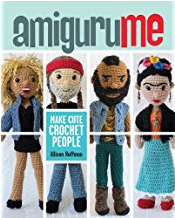 Totally awesome work! 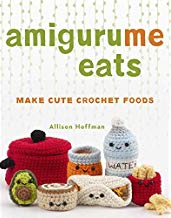 And I'm very excited that you'll be offering the patterns! Where and when will you be offering the patterns? I love these!!! They are amazing! Your work is a huge inspiration! You have done a wonderful job! I especially love Doctor Who #4. That is the one that introduced me to the series and the one I always think of when I think "Dr. Who." I simply could not leave your web site prior to suggesting that I actually loved the usual info an individual provide to your visitors? i totally agree, my fiance LOVES the show so much he wants to look like the doctor on our wedding day. He even made sure all the guys are wearing bow ties. 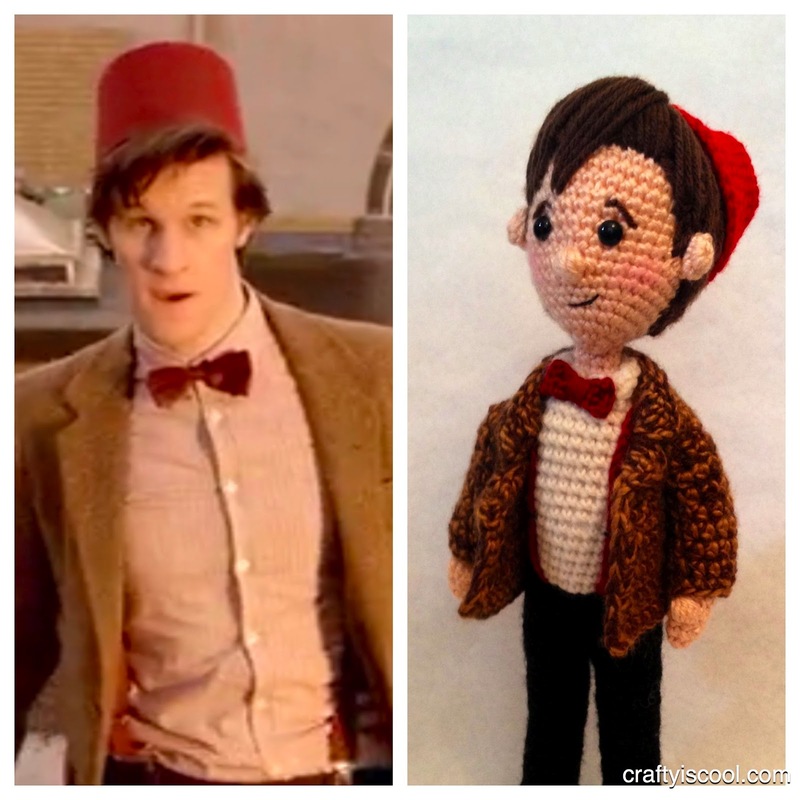 I would love to have the Matt Smith pattern so i can make it for him as a wedding present. Only 18 days to go! Great Work girl! Came to these via pinterest and they are absolutely AMAZING. As a massive whovian, and crocheter, they make me really happy!! !